Spinach is nutritional powerhouse.Spinach has high nutritional value and extremely rich in antioxidants.It is very useful for children.It has impressive range of active substances . Spinach is a rich source of lot of vitamins like vitamin A,C,E,K,B2,B6 and magnesium , folate, manganese, betaine , iron, calcium, folic acid , copper, protein , phosphorus ,iodine, zinc, niacin , selenium and omega 3 fatty acids , opiod peptides . 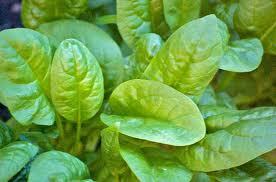 11) Brain : the dark green leaves protect brain functions . also not adivsed the people who are on diet withot salt. which masala should i put.